This was a super cute/homey place. I loved that there was a kitchenette and that there was typed out instructions in a duotang. Where to find McBride hotels near an airport? Where can I find hotels in McBride that are near tourist attractions? 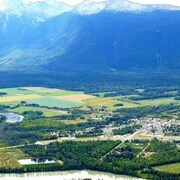 Arranging time in Valemount and want to stay in central McBride? Within a 0.1-kilometre (0.06-mile) radius of the center of town, you'll find 3 Expedia-listed hotels and apartments. 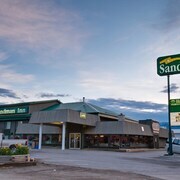 Travelers hoping to find a great place to stay conveniently located to the heart of McBride, can choose from the Sandman Inn McBride and Bell Mountain Motel McBride. 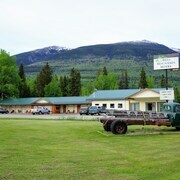 0.2 kilometres (0.1 miles) away from the main part of McBride, is the North Country Lodge. If time allows, you should discover more of Thompson Okanagan. Visit Thompson Okanagan's old towns. Those who appreciate wide open spaces should also make the time to to enjoy the region's rural landscapes, beaches, forests and rivers. Locals and visitors alike in this section of Canada enjoy snowboarding and skiing. Situated 60 kilometres (38 miles) to the southeast of McBride is Tete Jaune Cache, which has various accommodation options. Hotel options here are the Robson Valley Chalet and Heavens Edge Mountain Lodge. Quesnel Airport is a convenient airport for flying in and out of McBride. It is 160 kilometres (99 miles) drive away. If you choose to stay nearby, try the Quality Inn Quesnel or Gold Pan Motel. Are there hotels in other cities near McBride? What other types of accommodations are available in McBride? Explore McBride with Expedia.ca’s Travel Guides to find the best flights, cars, holiday packages and more!